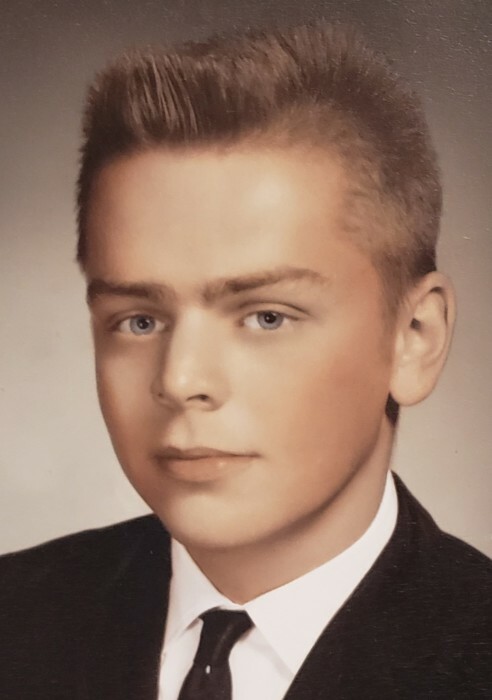 The funeral service for David E. Bakken, 69, of Stewartville, MN will be at 11:00 A.M. on Saturday (February 2, 2019) at Zion Lutheran Church in Stewartville, MN with Rev. Byron Meline officiating. Military honors will be by the Stewartville American Legion Post 164. Mr. Bakken died of natural causes on Saturday (January 26, 2019) at his home. David Eugene Bakken was born on February 5, 1949 in Stewartville to Orin and Betty Mae (Long) Bakken. He grew up and attended school in Stewartville, graduating from Stewartville H.S. in 1968. During his H.S. years he worked with his Dad at the Gulf gas station on Main St. In 1969 he entered the U.S. Army serving overseas in Vietnam where he received a Purple Heart and a number of combat commendations. Following his discharge he returned to the Stewartville area. Dave was married on August 7, 1971 in Stewartville to Rebecca Lee Sexton. Following their marriage the couple lived in Stewartville where they raised their family and where Dave has continued to make his home. They were later divorced. 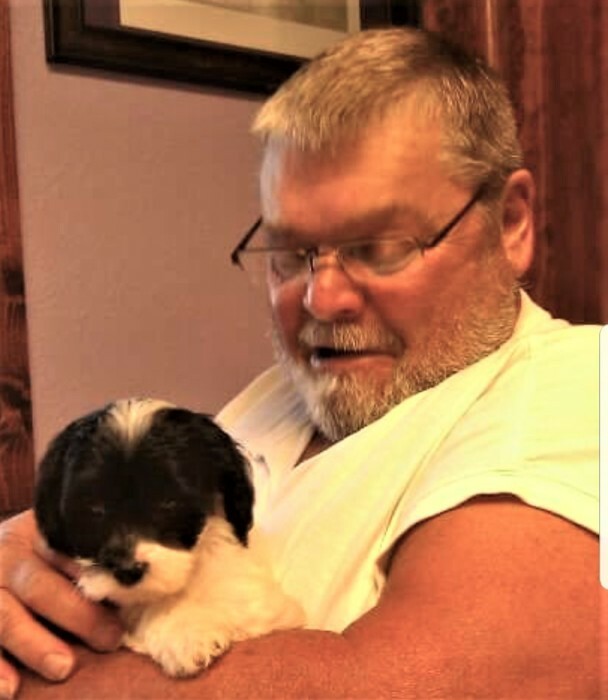 Over the years Dave worked as a bartender (Roxy), concrete construction worker (Doyle Conner Company & Tory Keefe Construction) and an auto body repairman (Stewartville Auto Sales). He owned and operated Bakken’s Body Shop (1994-2000) and was employed at McNeilus Co. in Dodge Center,MN in manufacturing and as a truck driver until his retirement. Dave was a member of Zion Lutheran Church in Stewartville and the Stewartville American Legion. After retiring he got a dog – Thunder - who became his constant companion. They were blessed with amazing neighbors, that looked out for them like family. Dave enjoyed hanging out in the garage, listening to old country western music, gardening/working in his yard, visiting with friends & family and going for drives. Dave was a proud man that worked hard all his life. Dave is survived by his son and daughter – Ted (Trisha) of Mantorville,MN and Stacy(Kenny) Hutchison of Elgin,MN; 3 grandchildren – Alexis Faro, Jesse Faro and Kaylee Hutchison and 3 great grandchildren – Anakin, Aurora and Connor; 4 sisters – Jo Stevens of Aurora,CO; Nancy Bakken of Rochester,MN; Carol Bakken of Rochester,MN and Robin(Ronnie) Vrieze of Racine,MN; 3 brothers – Bob(Bonnie) Bakken of Harmony,MN; Keith Bakken of Owatonna,MN and Randy(Meladee) Bakken of Stewartville and step-sister – Patti(Brian) Truelson of Kasson,MN and many nieces and nephews. He was preceded in death by his infant grandson – Chase, his parents and step-father – Vic Bolstad. A time of visitation for family and friends will be held from 5 to 7:00 P.M. on Friday (February 1, 2019) at Griffin-Gray F.H. in Stewartville and 1 hr. prior to the service at the church on Saturday morning. A private family burial will take place in Woodlawn Cemetery in Stewartville. Arrangements are with Griffin-Gray F.H. in Stewartville. On-line condolences and memories of Dave are welcome at www.griffin-gray.com.